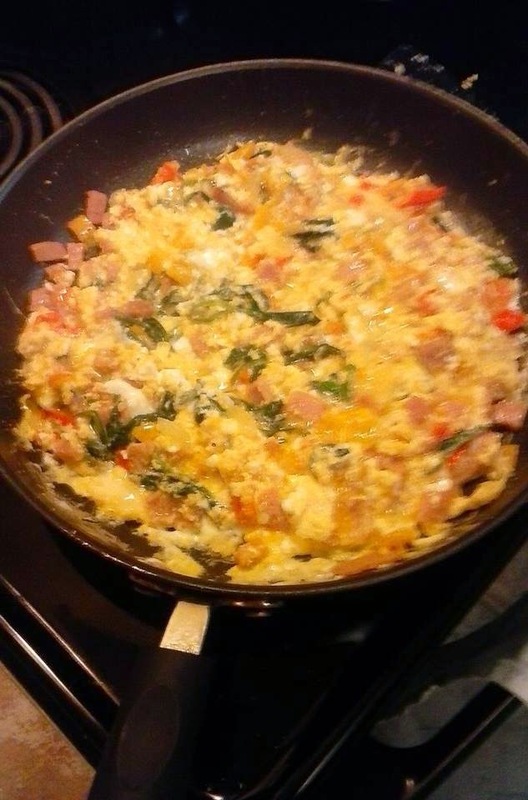 On Christmas Eve morning, I decided I wanted an omelet. Mama has chickens now, so she has fresh, organic eggs! 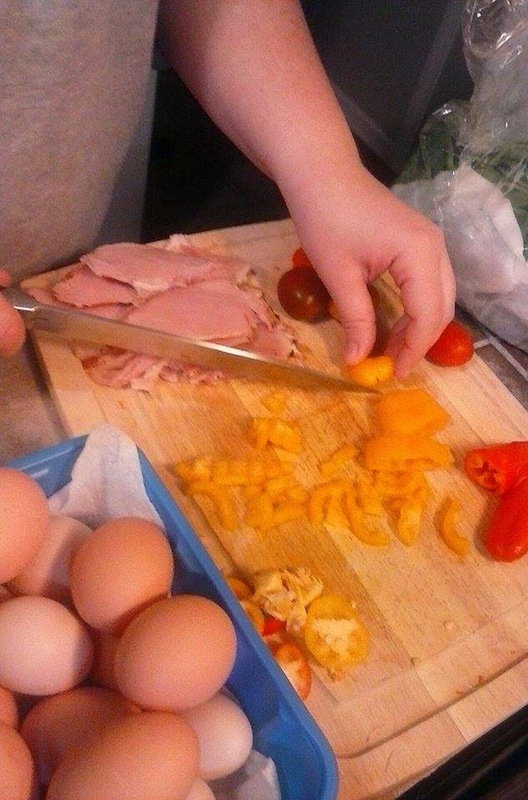 I was very excited to try them, and I have to say, that was one of the best omelets I've ever had! 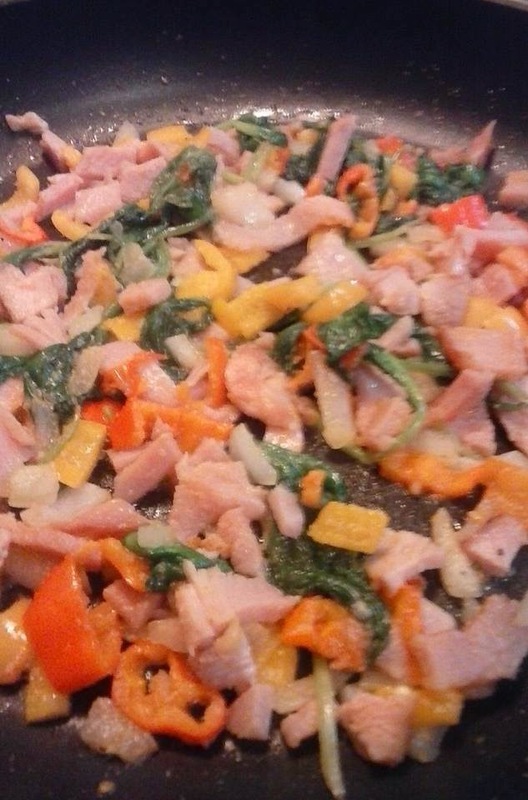 I sauteed sweet peppers, onions, cherry tomatoes, spinach, and honey ham in the pan in oil. 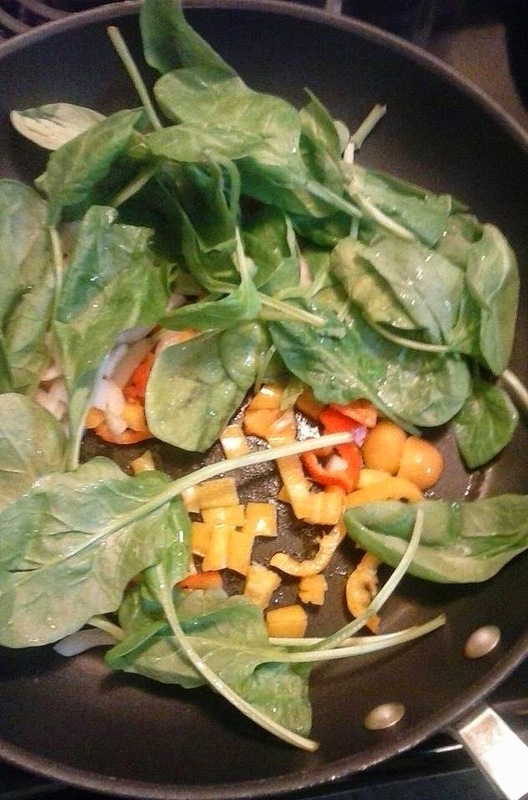 I seasoned it with a steak seasoning, garlic powder, and a tiny bit cayenne pepper.